Halloween Mummy Treats with Cookie Cutter Halloween! An easy way to make your Halloween lunch memorable! Just add these to each child’s place setting … and don’t tell them what it is. Watch as they unwind … and unwind … and unwind. These are all of the supplies needed: the Cookie Cutter Halloween stamp set, the Cookie Cutter Builder Punch, some gauze, and a juice drink! After all, what kid doesn’t want a “little scary” in their life? 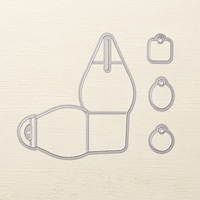 Cookie Cutter Bundle is my FREE September Class Kit! This is just another example of all of the fun things you will make with this bundle. *Remember … when you place a minimum $40 order through my online store, you will get this Card Kit for FREE – 5 cards including the amazing Pop Up Panel Card shown here! Happy Haunting with Hearth & Home Thinlits! Halloween will be here before we know it. Do you make cards for this? Here is a quick idea for using the Happy Haunting Designer Series Paper with the Hearth & Home Thinlits Dies. I actually cut the little ghosts out of the Happy Haunting DSP. It was easy to do. Since the background on this paper is black and I was laying it on black, I didn’t have to cut carefully at all! I love the effect of these ghosts peeking in the window. 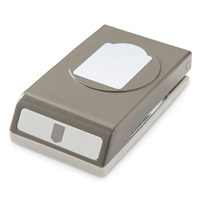 These Hearth & Home Thinlits Dies are so popular because you can do so much with them. To see a couple of other cards I have made with them you can click here and here. Both of those were winter cards, one looking out the window from inside the house and the other was outside looking into the house. Add all of the other seasons and you will never run out of ideas for using these Thinlits! 9 Halloween Treats & Cards for “Scary” Fun! Yes … it’s the Halloween ghosts from years gone by …… here to share with you some scary fun. For instructions on any of these projects, just click on the link beside them. The “ghosting” technique used with these bats certainly fits Halloween! Halloween Happiness with a photo inside – perfect to send the grandparents! Wrap washi tape around pixie sticks to make this cute candy holder! Rosettes as pencil toppers for a non-candy treat! This Halloween treat holder is made with an envelope. Open it up and find the candy inside. How about a sliding treat holder – perfect for apple cider, hot chocolate, or other drink mixes. More drinks for those who dare…. Wrap some ribbon around candy, add some eyes, and you will have a mummy! So .. take it from me … these nine Halloween ideas will be sure to provide some “scary” fun for your little ones! The Curvy Keepsake Box Makes a Spooky Pumpkin! Just a little bit spooky and a whole lot of fun! This cute pumpkin has a flickering light inside so those little ones will be wowwed! My little pumpkin has done some traveling … which has impacted its shape, but I think that just adds to his charm! Just below is a picture of him when he was all shiny and new! 1. 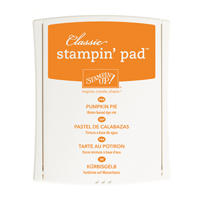 Start with two box pieces out of the Vellum Cardstock and, with the brayer, color it Pumpkin Pie! 2. Add the look of pumpkin lines with this stamp from the Gorgeous Grunge stamp set in Tangerine Tango. 3. Use just the tip of the Triangle Punch to punch out the eyes and nose. 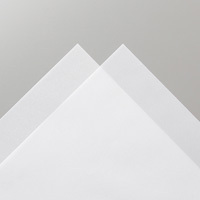 Then make two small notches on the edge of the Basic Black Cardstock. 4. 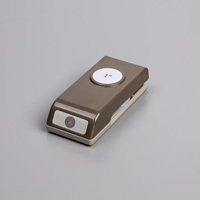 Position the Circle Punch so that it goes over those two notches and punch out the mouth. 5. And, finally, to make the “distressed hair”, I took a piece of Wild Wasabi Seam Binding Ribbon, cut off very narrow strips on the sides, and unraveled the ribbon. Scrunch it up! Just a Minute: Cute Little Pumpkin Face with Punches! Freaky Friends Halloween Treat Bags! Those little Freaky Friends of yours? They would love to get a bag like this from you! You could put in a fresh baked cookie (how about a Monster Cookie?) at the last minute if you think they get too much candy at Halloween! 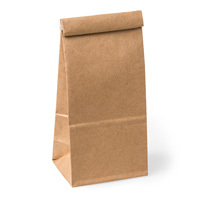 Or how about sending their lunches in these on October 31? These little bags are easy to make ahead of time and can be opened at the last minute to put your treat inside! Just a Minute: Quick & Easy Halloween Treat Bags! Treat your Freaky Friends, your Little Monsters … or whatever you call the little ones in your life! Or turn the tables and have the kids make the cookies and packages and give them to grandparents, neighbors, friends! Making memories is what these special days are all about!